Container shipping has been around for over 50 years, and it’s standardisation started shortly after, led by the International Organization for Standardization (ISO). Standardised containers have transformed the shipping and transport industry, allowing the transport of goods by rail, road and ship easily, as the containers can fit onto different forms of transport with ease. The standardisation of containers has helped increase efficiency and economies of scale when transporting the approx. $3tn of trade which goes through our transport systems each year, from aerosol cans to zebras! By keeping sizes to a particular standard, they can be used across numerous means of transport: rail, ship and road. 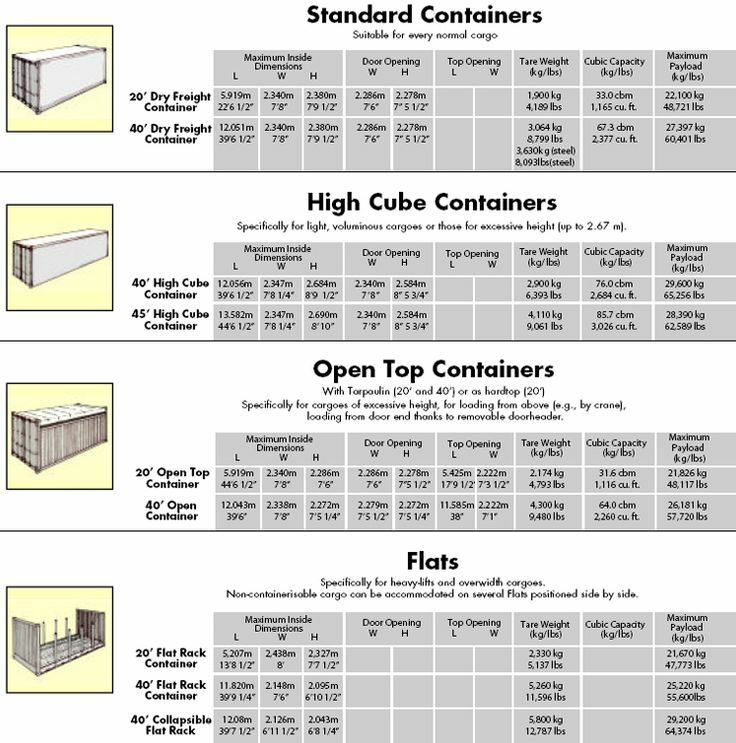 Dry storage containers – these are the standard previously mentioned shipping containers, which are used to ship dry materials, normally in 10ft, 20ft and 40ft lengths. Flat rack containers – these contain collapsible sides which fold, ideal for shipping boats, equipments and cars. Open side containers – here the doors to the containers can be opened completely on the side, which allows for wider loading of materials, ideal for shipping vegetables. There are two types of container packing, Full Container Load (FCL) and Less-than-container Load (LCL), or break bulk shipments. For those looking to import a small quantity of goods that might not require a full container’s worth of stock, it might be worth considering a Less-than-container load shipment, where a shipping broker or freight forwarder combines your supplier’s goods with others in order to make a full shipment. The unit cost per kg is more than that of a full container load, but the total delivery cost will be less. We’ve put together a comparison of FCL and LCL shipments here. The packaging used inside containers to transport in and out of containers either consists of pallets (or skids), which are often wooden or plastic supports for the load, often shrink wrapped, slip sheets made of plastic, or crates. Pricing is one of the most important factors of shipping goods, but it’s important to clearly understand the responsibility of the consignee (shipper/ buyer) and the distributor or seller. 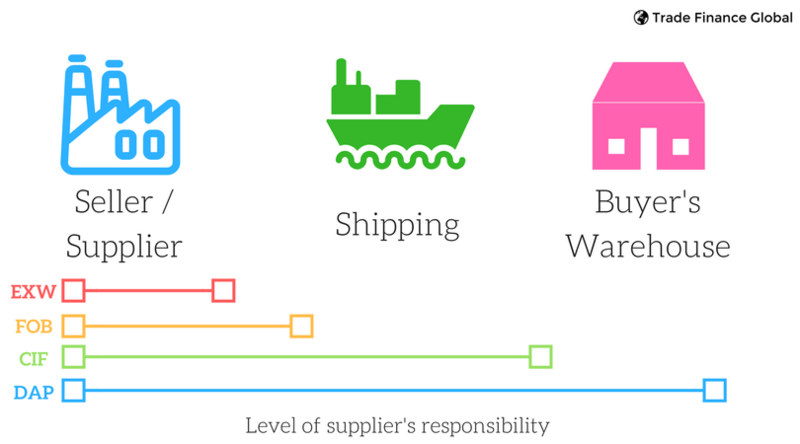 The shipment of goods and responsibilities are clearly defined by incoterms – and there are about 13 different terms (which you can learn more about here). The two most important forms of documentation for shipping (and often quotes given by a freight forwarder) are the Bill of Lading (essentially the shipping contract), and the Freight Bill (the invoice for the cost of shipping the goods from A to B). In short, the buyer can arrange for their own freight agent and delivery, or deliver using the sellers freight forwarder (possibly incurring some form of mark up or cost). Generally speaking, suppliers will give a quote for an ExWorks or Free on Board transport service when delivering goods. More Information: What are reefer containers? Want to find out more? We found this mini documentary on Emma Maersk, one of the most popular and biggest cargo ships very interesting! Trade Finance Global has a network of freight forwarders, freight experts and shipping / logistics partners that can help you get your goods from A to B. Get in touch with our Freight Forwarding networking team here. A footwear manufacturer needed to initially use a break bulk service to import sample footwear from numerous suppliers in China, before deciding on a preferred supplier to continuously manufacture and ship footwear for distribution in Eastern Europe. TFG had to work with its freight forwarding network to facilitate this, and use economies of scale to ensure reliable shipments to its warehousing hub. TFG successfully structured an FX and trade finance facility, as well as working with it’s freight forwarding brokers to help us move stock globally and ensure our warehousing operations were timely.